While I love hiking with friends, hiking alone has it’s own set of pleasures. So this morning I decided to set off for a hike all by myself. 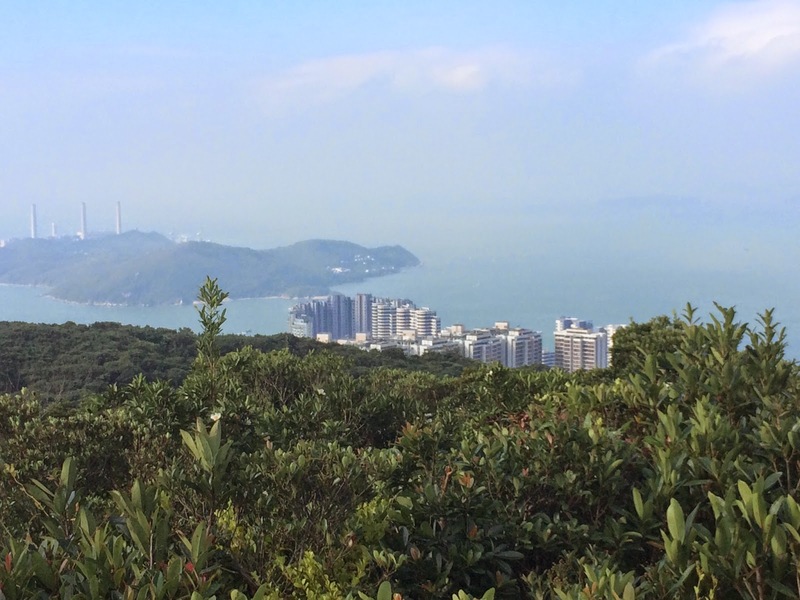 I started off on a much-trodden trail going up to the highest point of Hong Kong island – The Peak. I was planning to go up there, do the usual circle walk, have my usual mug of Starbucks cappuccino and then walk back home. This was till I decided to take a small diversion. I decided to take the smaller path going right which was meant for horses (if you see the picture above). 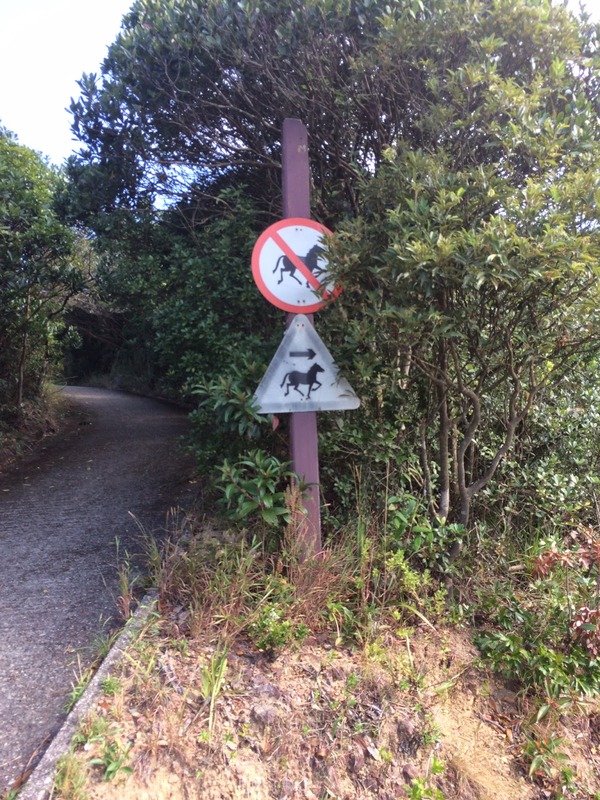 Not that I have ever seen anyone horse riding on these paths. It was a gradual slope and I started walking up. It’s a beautiful day today, clear, breezy, with just the right temperature. The ascent became steep but I didn’t really feel tired. I kept going on and on, suddenly aware of the fact that no other hiker had crossed my path in quite some time. All I could hear now was the rustle of the leaves, the chirping of the birds and of course the sound of my steady footsteps. 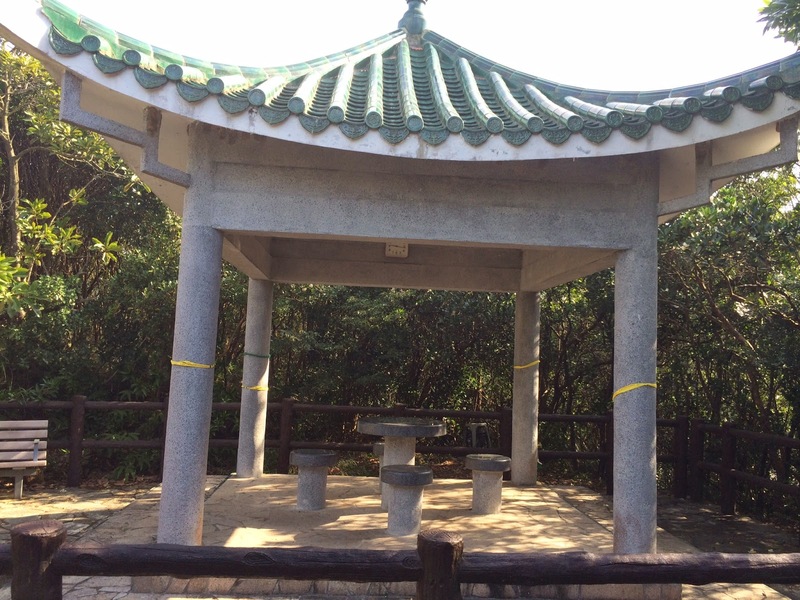 After some time I came across a clearing, the usual kind of a Hong Kong sit-out with circular concrete tables and stools. I paused there for a minute and was surprised to find a clock fixed on the wall showing the right time too! So obviously someone was using this path regularly. I chided myself for feeling nervous earlier and continued up the hill. I walked on and on till the vegetation around me started growing thicker and the path narrower covered with overgrown grass. Now when you are all alone and have nothing to occupy you, your mind starts playing tricks on you and I did let me imagination run wild. What if something happens…..a gang of Chinese thugs waiting to mug me, a pack of wolves come running out of the thicket, I slip over the wet leaves and fall into the valley, a poisonous snake slithers down my path and confronts me …..what would I do? I only have my water bottle for a weapon……I could run….but what if I fall……what would my husband do, who would he ask, where would he begin the search? After all I hadn’t told him where I was going that morning! With all these thoughts now turning into images with my vivid imagination, I felt that the sun was getting more obscured by the trees, the path was getting too narrow to walk and the vegetation seemed to engulf me….I couldn’t breathe…..I took a sudden U-turn! Now I am on a different trail, an unknown one again. Thankfully this one has come to a quick dead end, with this gorgeous view of South Hong Kong. I sit down on the edge of the path – not that I am in anyone’s way, and start writing this post. The sun on my face, the sound of the birds, the rustle of the leaves, the breeze blowing my hair, I sit here and start dreaming. It’s all in the mind, they say!